Sunny days in late September and early October 'sparkle' with a clarity which enhances the definition of the horizon and the trees in the eye-line. 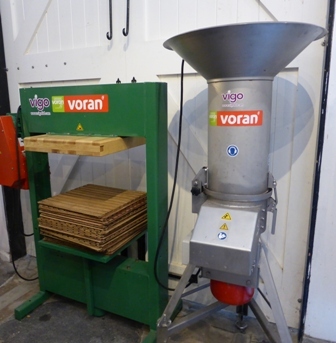 On Monday a visit to a new enterprise near Shipbourne in West Kent where a young entrepreneur is creating a new business distilling waste apples into high quality spirits. 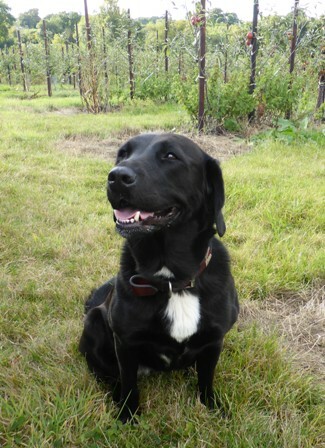 While still involved in his corporate career, Will spent three and a half years gaining a Masters Degree in 'Brewing & Distilling studying at Heriot-Watt University (the Harvard of Distilling) - still working in London he and Melissa started a family; Jacob is now 6 and Saskia 4. The International Centre for Brewing and Distilling (ICBD) is a unique teaching and research facility. The centre is based on a partnership between industry and academics, and makes up part of the School of Engineering & Physical Sciences located in the Riccarton campus of Heriot-Watt University, Edinburgh. 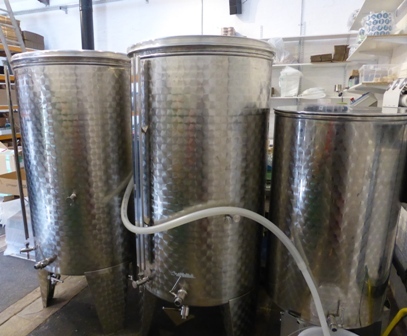 The ICBD is the only organisation in the UK to offer both Honours and Masters degrees in Brewing and Distilling. As such, the centre not only supplies the industry with new-blood graduates, but with services, expertise and facilities consistent with the standards required in the local, national, and international markets. A variety of courses are available both on campus and by distance learning. Seeking a place to live and fulfill his dream, it took Will 2 years before he found The Coach House, part of a Victorian manor house and hunting estate outside Shipbourne'. with a history of hunting going back to the Middle Ages; the Manor House was the axis for the shooting estate. The Coach House was built in 1833. 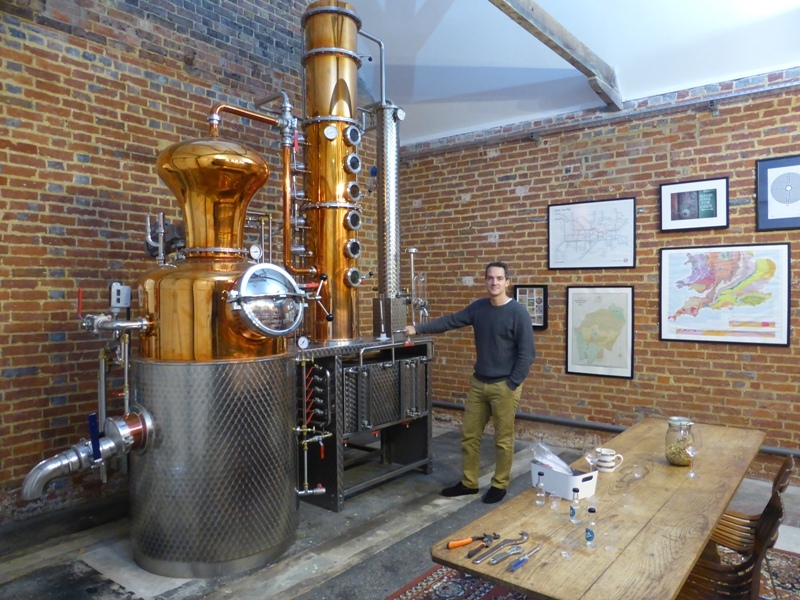 Will has performed all the 'extensive' renovation of the Coach House himself and turned the former stables into his distillery. This included cleaning seven layers of paint off the 'brick' walls and creating the woodwork structure for the ceiling area. The natural appearance of the 'old brick walls' beautifully complemented by the oak woodwork frames the magnificent 'still' which is a product of the finest German engineering. After extensive research, Will chose the Arnold Holstein Still, which he described as the Ferrari of all stills. 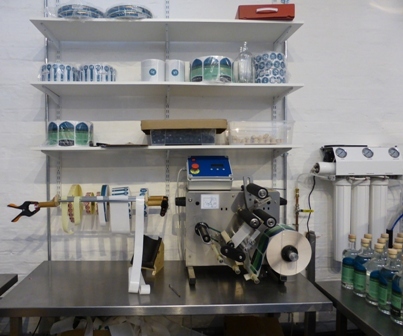 Manufactured in the heart of 'schnapps' countryside it delivers the design features necessary for high quality distilling and is very easy to clean with no chemicals needed for cleaning. 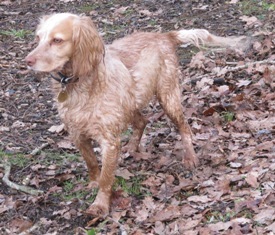 Will aims not to use any chemicals in the distillation process. 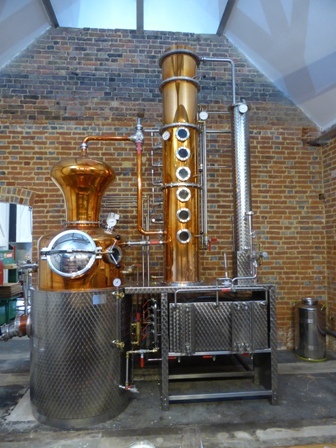 The still is cleaned internally with hot water recovered during distillation. 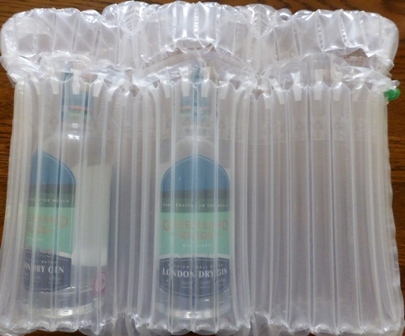 Bottles are cleaned with high pressure air. 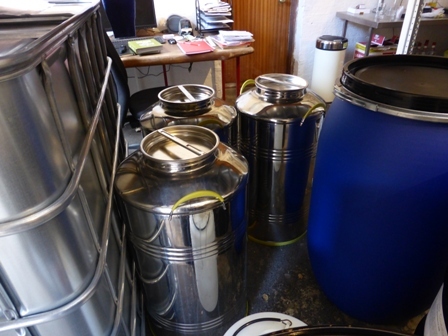 Will is also trialing a number of natural products for applications such as fermentation vessels. Below: "Will and his Still"
While Will is passionate about his new life as a distiller, he is equally passionate about avoiding waste wherever possible. 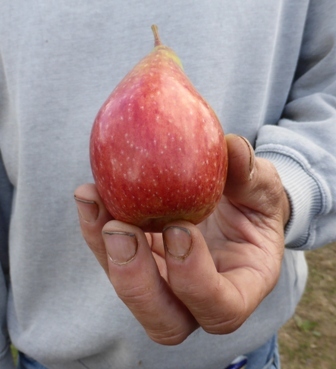 The objective is to utilise fruit which would have no commercial value to the grower and could end up unpicked and become waste. 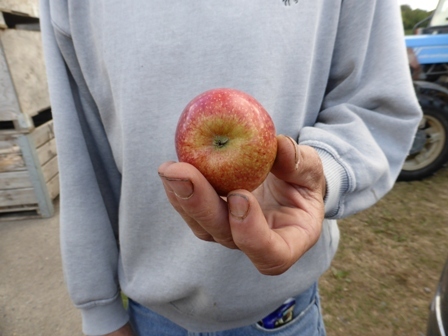 Offering to purchase the potential waste fruit and distill into high quality spirits is paramount. 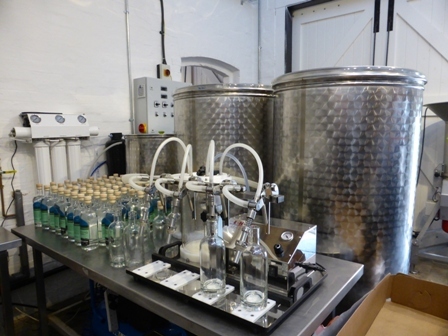 Distilling is an 'energy hungry' intensive business, so to mitigate this, Will has identified the importance of using the right equipment and ensuring sustainable energy and water is at the heart of his 'business plan' - Will uses green energy provided by Good Energy a supplier of sustainable gas and electricity. Funding for the new distillery has been supported by LEADER funding; part of the Rural Development Programme for England (RDPE), which works to make England's agriculture and forestry sectors more competitive, to improve the quality of life in rural areas and to diversify rural economies. Fruit spirits can be made from any fruit high in sugar; with apples (or pears) the process starts with 'milling' (chopping the apples) into a mash which is then fed to a press to extract into a juice; the juice is captured and turned into a dry cider; apples high in sugar (Golden Delicious is a good variety) make a good distilling cider; after 2 months fermenting, the cider is fed into the still, where it is distilled in batches; Will distils two batches of fermented cider in a day before it is passed back into the still for a final distillation when it will be 83% alcohol. He then dilutes the spirit down to a strength of 63% to be matured in oak casks. 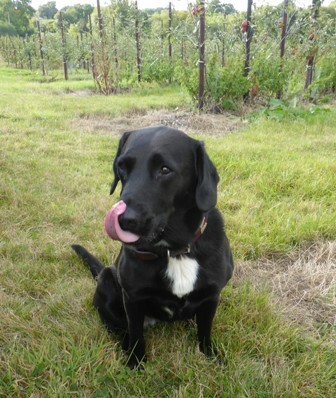 Will has also released an initial un-aged Rasberry spirit made from this years surplus berries. London gin is obtained exclusively from ethanol of agricultural origin with a maximum methanol content of 5 grams per hectolitre of 100% ABV equivalent, whose flavour is introduced exclusively through the re-distillation in traditional stills of ethanol in the presence of all the natural plant materials used, the resultant distillate of which is at least 70% ABV. London gin may not contain added sweetening exceeding 0.1 grams of sugars per litre of the final product, nor colorants, nor any added ingredients other than water. 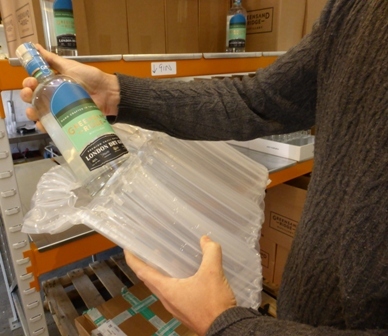 The term London gin may be supplemented by the term "dry"
Will is determined to maximise his 'war on waste' and the fully recyclable 'pillowcase sleeves' designed to protect the bottles in transit are complemented by a label which is also recyclable, apart from the 'sticky backing element' which he is determined to overcome. Of course as Will say's - full recycling depends on everyone further 'down the line' doing their bit as well! 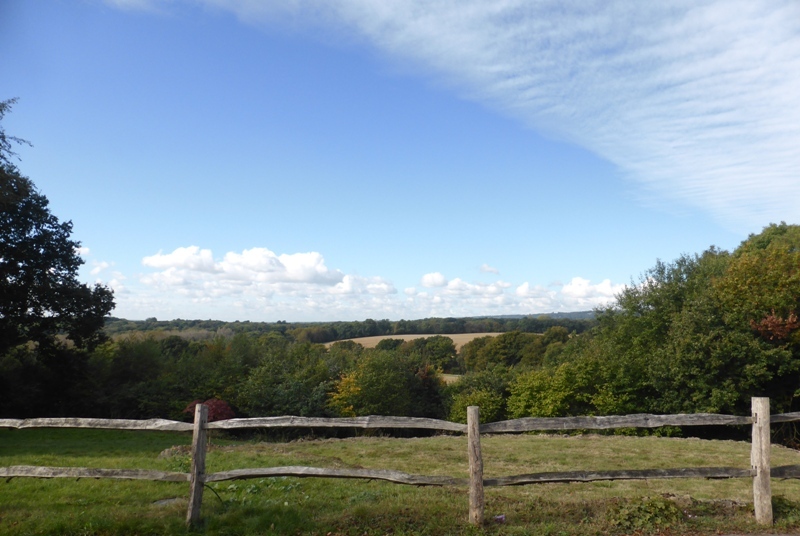 Will Edge is committed to procure the ingredients for his distillery from the Greensand Ridge region; The Greensand Ridge is an extensive, prominent, often wooded, mixed greensand/sandstone escarpment in south-east England. 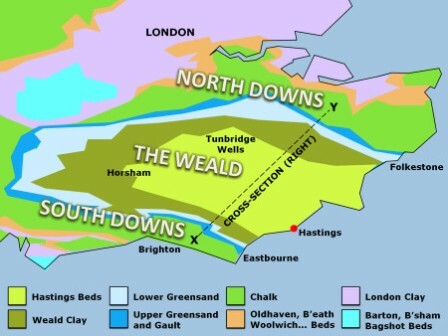 It runs to and from the East Sussex coast, around the Weald, a former dense forest in Sussex, Surrey and Kent. It reaches its highest elevation, 294 metres (965 ft), at Leith Hill in Surrey, the second highest point in south-east England, while another hill in its range, Blackdown, is the highest point in Sussex at 280 metres (919 ft). The eastern end of the ridge forms the northern boundary of Romney Marsh. Will's Gin is made from 100% wheat spirit distilled with 8 local botanicals: Cobnuts, gorse flowers, hawthorn berries, rosehips, poppy seeds, oak moss, bay leaves and honey. These are complimented with 7 classic gin botanicals to provide aromatics which are absent in natives. Will told me it took him a week to harvest the Gorse Flowers from Ashdown Forest. All Gins contain Juniper as an ingredient; Coriander is one of the other Botanicals used and Bitter Orange & Lemon Peel. For a 'Spicy Gin' Will adds Cardamon, Cassia and Grains of Paradise. Cardamom (Elettaria cardamomum): dark brown polygonal seeds in oval green or brown pods imported from India. - Cassia (Cinnamomum cassia): bark and buds of the cassia tree, from China. - Grains of Paradise (Aframomum melegueta): a species of cardamom, seeds of an African tree. All these Botanicals sit in glass jars on display in the distillery. The Arnold Holstein Still and the Botanicals create an 'ambiance' (my favourite word) in which Will expresses his 'creative talents' and where he is offering 'Gin Experiences' for corporate customers. "Our still house doubles as an events space where we can host groups for corporate or private functions. We can cater for simple venue hire with catering and a distillery tour, to a bespoke group event with gin making and private dining. Perhaps you'd like to have a team away day, with meeting facilities in the day followed by a team building gin making activity? Or are you looking for a spectacular venue for your 40th birthday party celebration? 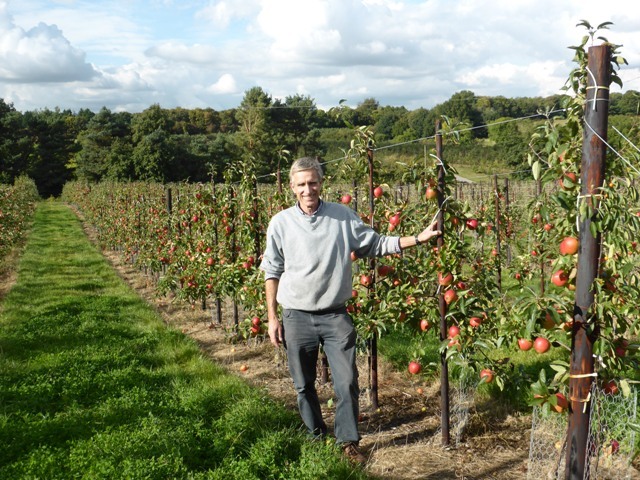 Give us a call to discuss your specific requirements"
Following my visit to Will Edge, it was a short drive to Pippins Farm at Pembury where David Knight and his staff were busy with apple picking. 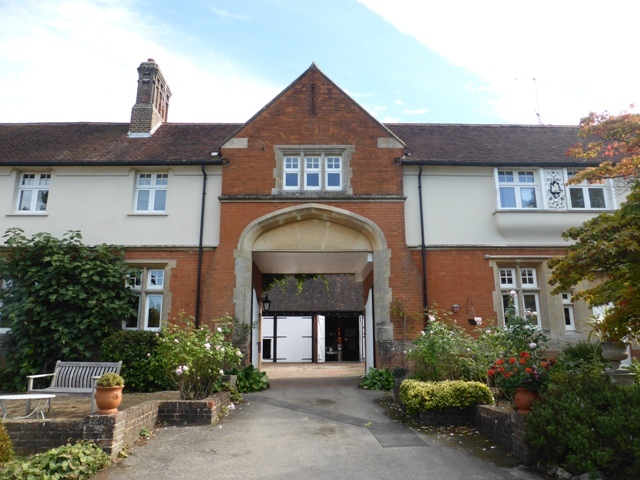 Pippins host their annual open day in support of Hospice in the Weald this coming Sunday - 16th October. 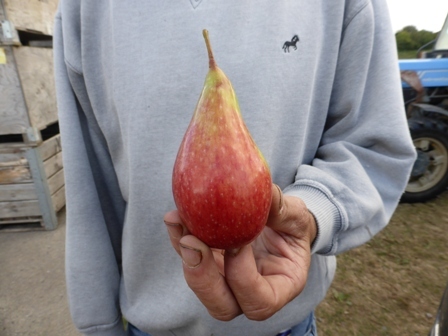 Is it an apple or is it a pear? 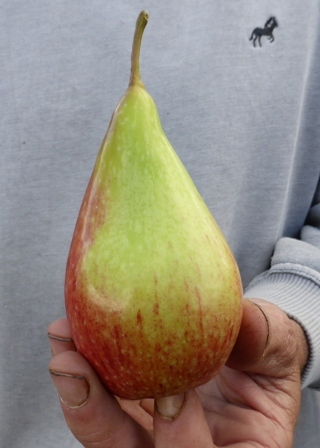 Picked from a Cameo apple tree at Pippins farm, this IS an apple, but looks like a pear!